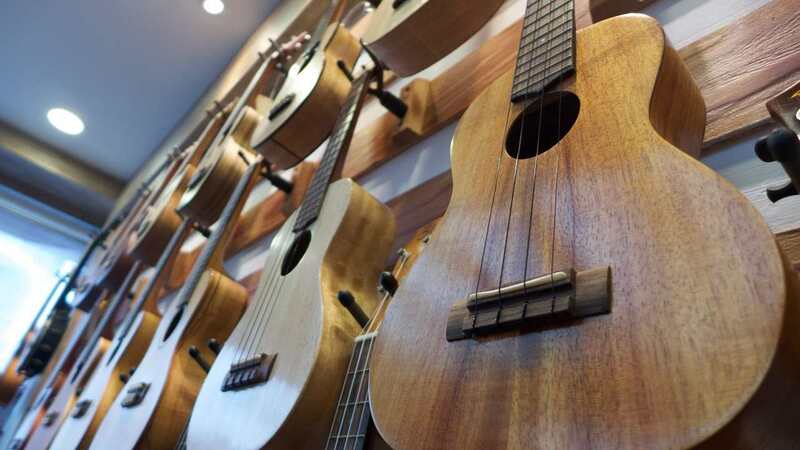 All about the different Ukulele types - Sizes, sound and tuning. The Ukulele types will be explained in this post. First of all how they sound, how they are tuned, the sizes and finally their appearance. From the smallest, to the biggest. The Sopranino is the smallest (also called piccolo, bambino, or “pocket uke”). This Ukulele can probably be a bit hard to find since this size is not common. The Soprano, or the Standard, is the second smallest. This is the original size. The Concert Ukulele was developed in the 1920’s. It is a bit larger than the Soprano, and it has a louder and deeper tone. The Tenor Ukulele was developed right after the Concert Ukulele. The Tenor have more volume in addition to a deeper bass. The Baritone is from the 1940’s, and is different to the other smaller concerning the strings and tuning. Finaly the Baritone is “always” tuned linear. The Bass is from 2009 and is also not so common. The Contrabass Ukulele is finaly the latest from 2012. Ukulele types and sound range. The sound range varies with the tuning and size of the Ukulele. 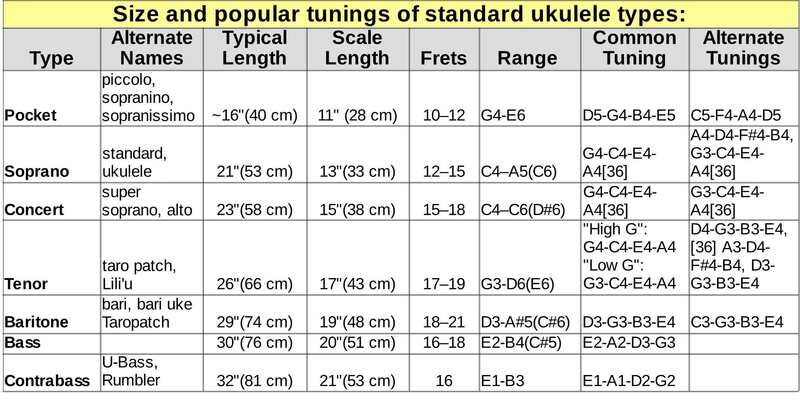 The Ukulele types and Sizes and Ukulele types and Tunings. The Ukuleles is also made in different shapes. It can be in the shapes as a mini normal guitar, as a mini el guitar, pineapple or other shapes. The instrument also comes in different materials. They can in addition to this be painted in different colours. Sometimes also with decorations. Painted Ukulele can be a Ukulele of cheap materials, or just a decorated good Ukulele. So you don’t rely know without looking closely. You can also decorate your Ukulele by your self. Then you get a very special Ukulele appearance. One of a kind. You can also see our Facebook page for a demonstration. If you don´t have a music shop with ukuleles where you live, you can se some ukuleles here at AliExpress.